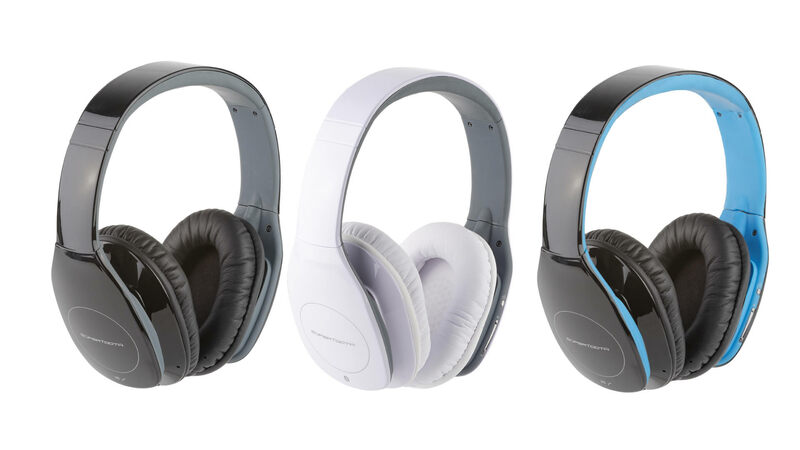 It’s very common now in the headphones industry for feature-heavy headphones to come out and while they have a lot to offer, audio performance is normally equivalent to a pair that does not cost as much. The opposite is true for Supertooth’s $150 Freedom headphones which don’t offer much in the way of features but sound just as good as a $200 or $220 pair. The Freedom’s design is very basic with a glossy plastic body that comes in a variety of colors, black, white, or grey. There is nothing of interest on the left earcup but on the right is a button meant for dealing with calls as well as your audio source. Controlling the headphones with the button involves pressing it a certain amount of times to hang-up/answer calls or play/pause/skip. These headphones are Bluetooth-ready but you can also choose to plug them into an audio source with a standard 3.5mm cord. Personally, I prefer physical connections whenever possible because Bluetooth is far less reliable with many headphones. but with the Superooth’s Freedom, connectivity was never an issue. So, if you really need to use these wirelessly, you should not have any issue even when using them from pretty far away. One of nice–albeit small–features of the Freedom is that when you plug in a 3.5mm cord, Bluetooth automatically turns off. This prevents you from accidentally leaving it on and connected to a phone or other audio source which would result in battery loss. Using the headphones in Bluetooth mode is preferred if you also want to take advantage of all the controls on the headphones themselves, since those are not active when the cord is plugged in. Additionally, the cord does not come with an inline remote for answering calls or controlling music. There isn’t much that can be said about the Freedom’s in terms of design or features but what can be said is that its performance is astonishing. Having reviewed many $200 or even $300 headphones, I can easily say that these are just as good as pairs that are much more expensive. Both bass and highs sound great on the headphones and unlike some headphones, absolutely no noticeable degradation in sound quality was experienced with the volume cranked up. Supertooth’s headphones do not get as loud as some but they work just fine if you tend to listen to music at a louder than average level. Despite costing just $150, the Supertooth Freedom headphones are some of the best on the market for people who simply care about good, affordable audio quality. As long as you are fine with the plastic construction, there is almost nothing negative to be said about these headphones.